We include special guest appearances by POCUS gurus Jordan Chenkin and Rob Simard to give us tips on using POCUS in a patient who presents with their eye swollen shut as well as a bonus excerpt from the Expert Panel Discussion at The EM Cases Course on how to deal with obstructive consultants with Walter Himmel. There are few presentations in EM in which physical exam so crucial to clinching the diagnosis and guiding management as it is in blunt ocular trauma. The most common reason we miss these 4 vision threatening diagnoses are failing to do a thorough physical exam of the eye. The first challenge often is getting a good view of the globe in a patient who presents with their eye swollen shut. There are two options. First, after adequate analgesia, apply a small piece of gauze to your fingertips and gently pry open the lid making sure not to apply any pressure to the globe. If that fails, point of care ultrasound (POCUS) may be helpful in identifying not only retinal detachment, but also globe rupture and pupillary response. First, gently place a Tegaderm over the patient’s closed eyelid and then place a lot of ultrasound gel over the Tegaderm so that the ultrasound probe floats over the eye rather than pressing against the eyelid. 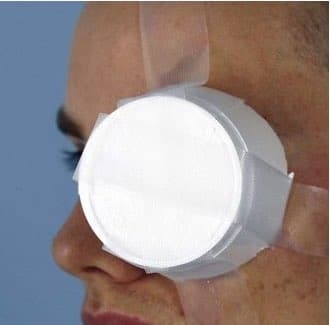 This is to prevent pressure being placed on the globe from the high frequency linear array ultrasound probe or from having to wipe the ultrasound gel off the naked eyelid. For pupillary response, simply shine light in the non-affected eye and look on ultrasound for pupillary dilation. Then shine the light through the eyelid of the affected eye and again, look on ultrasound for pupillary dilation. 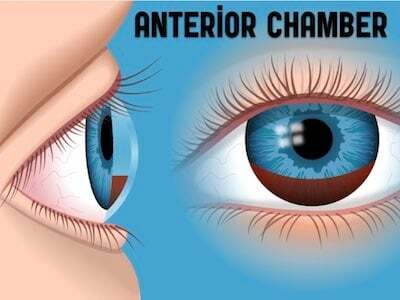 Is the anterior chamber present or not? 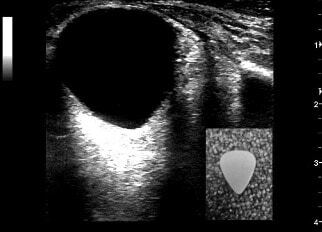 The absence of an anterior chamber on POCUS could be a clue that there is an anterior chamber perforation. 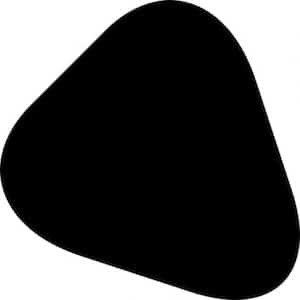 Is the posterior area of the globe black, round and smooth? If you see anechoic material in the posterior segment, you are probably dealing with a globe rupture associated with blood in the posterior chamber, and if the globe is not round and smooth you should suspect a globe rupture. Is there a retinal detachment? A linear bright white anechoic segment flapping off the posterior globe is likely a retinal detachment. Visual acuity. Visual acuity should be considered the 6th vital sign for eye patients as prognosis in all of the vision threatening emergencies depends on the presenting visual acuity. Inspection. Not only is it important to inspect all the anatomical structures of the eye for obvious trauma but to properly check for symmetry between the globes. Endophthalmos as seen in globe rupture and proptosis as seen in orbital compartment syndrome can be subtle and easily missed. The most accurate way to assess for globe symmetry crouch down at the head of the bed, or recline the chair and assess globe symmetry by viewing the globes from above the patient’s head so that the eyes are in profile, rather than face to face. Occasionally a uveal prolapse indicating a globe rupture can be subtle. Look for a small brownish blob on the surface of the eye. Pupils and RAPD. Not only should we be checking for irregularity of the pupil found in globe rupture and PERL, but all these patients require a swinging flashlight test to assess for a relative afferent pupillary defect (RAPD) which should raise your suspiction for optic nerve ischemia in the eye trauma patient. Visual fields. A traumatic retinal detachment can be picked up easily by checking the visual fields. This is commonly skipped over in the eye trauma patient. Extraocular movements (EOMs). Orbital blow out fractures may cause extraocular muscle entrapment resulting in abnormal EOMs. Slit lamp exam. When possible perform a slit lamp exam, not just for corneal abrasions and lacerations, but perhaps more importantly, for assessing the anterior chamber for cells and flair as found with a subtle hyphema. +/- IOP. While checking the intraocular pressure (IOP) in patients with globe rupture is contraindicated, IOP should be checked for all other blunt ocular trauma patients to rule out traumatic acute glaucoma associated with hyphema and to rule out orbital compartment syndrome. The 3 most commonly overlooked aspects of the physical exam in blunt ocular trauma leading to a missed or delayed diagnsosis are the RAPD (for orbital compartment syndrome), the visual fields (for retinal detachment) and the IOP (for orbital compartment syndrome and traumatic acute glaucoma associated with hyphema). OCS is a vision threatening elevation of intraorbital pressure that exceeds the vascular perfusion pressure of the ophthalmic artery. It can result in ischemia and irreversible vision loss if not corrected emergently. One way of conceptualizing the features of orbital compartment syndrome are to divide them into mechanical and ischemicfeatures. The natural history of OCS starts with the mechanical features: as the retrobulbar bleed expands, it exerts force on the globe such that it will become proptotic. In addition the pressure in the globe will go up so resulting in an elevated IOP. Finally, the expanding hematoma will stretch the extraocular muscles resulting in impaired EOMs. The ischemic features of OCS kick in as the IOP reaches a critical threshold causing the vascular perfusion pressure of the ophthalmic artery to elevate to the point that ischemia of anterior portion of the optic nerve ensues. This ischemia then results in decreased visual acuity as well as a RAPD and ultimately a blown pupil. Pitfall: CT imaging delaying initiation of consult or lateral canthotomy. OCS is a clinical diagnosis. While CT may clinch the diagnosis and help to rule out other traumatic injuries such as fractures, delaying vision saving management while waiting for CT results increases the chance that your patient will lose their vision permanently, as time to lateral canthotomy is a key prognostic indicator. 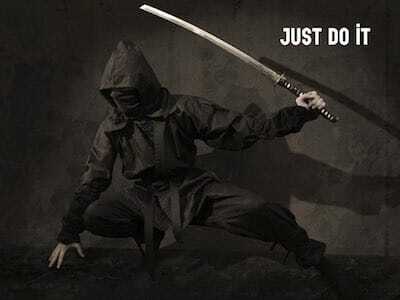 Lateral canthotomy: Be a Nike ninja and Just do it! Time is eye. A Lateral canthotomy is indicated for patients with OCS within 60-120 minutes of onset of ischemic features as a temporizing measure to definitive surgical evacuation of the retrobulbar hematoma [1,2]. Similar to performing a cricothyrotomy, the biggest pitfall when it comes to performing a lateral canthotomy is the decision to do it. Pitfall: Delaying the decision to perform a lateral canthotomy because of inexperience with the procedure. Ensure adequate analgesia and sedation. 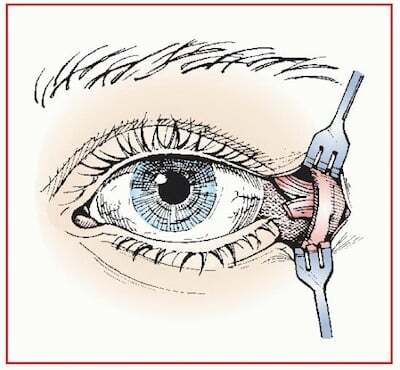 Because the surgical field is usually very bloody, finding the lateral canthus becomes a tactile procedure and has been likened to the feel of a guitar string. Medical treatment for OCS is similar to that of acute angle closure glaucoma with mannitol, acetazolamide, pilocarpine and timolol. Hyphema is a hemorrhage in the anterior chamber caused by bleeding from the iris or ciliary body. Usually hyphemas are easy to visualize because the blood layers out in the classic meniscus, but sometimes they are more difficult to identify. Pitfall: Assuming there is no hyphema because you don’t see the classic meniscus. This is when a careful anterior chamber slit lamp exam is critical. Your anterior chamber exam should be performed in the same way as you would for a suspected iritis looking for “cells and flair”. Narrow the width and height of the slit lamp beam down and angle the beam such that the light is projected from the cornea to the lens. Normally you can’t visualize the entire length of the beam. Flair occurs when you do see the length of the beam and it looks like a movie projector beam. 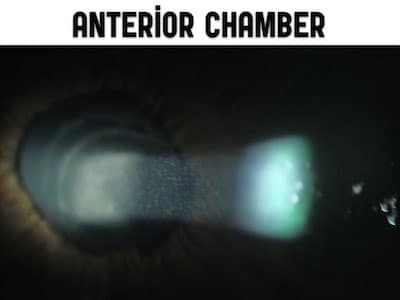 The anterior chamber is normal clear. 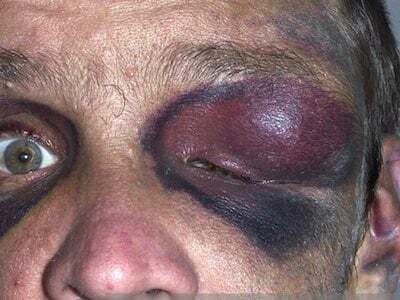 If you see dust-like particulate matter in the anterior chamber in a patient who has sustained trauma to the eye, those are likely red cells from a hyphema. Once you have confirmed the diagnosis of hyphema on slit lamp it is imperative to measure the IOP to rule out a traumatic acute glaucoma. The aqueous humour drains out of the anterior chamber through the trabecular meshwork. With hyphema, red cells clog up the trabecular meshwork, blocking the aqueous humor from exiting the globe, leading to elevated IOP. Treat the symptoms with antiemetics and analgesia. Place a protective eye shield. Instruct the patient to limit eye movement (no reading or heavy physical activity) and keep the head of the bed up (instruct your patient to sleep as upright as possible) to encourage layering out of the blood. Prevent rebleeding by avoiding anticoagulants and antiplatelet agents depending on the clinical indication for these medications. In a Cochrane review on the medical management of hyphema, tranexamic acid had a significant effect in reducing the rate of secondary hemorrhage but did no improve visual outcomes . For patients taking anticoagulants consideration should be given to reversing the agents as well as to oral tranexamic acid 1g tid on an individual basis. The evidence for the use of topical steroids to prevent rebleeding in hyphema is mixed but can be considered in consultation with your ophthalmologist. Medical management of traumatic acute glaucoma in the setting of hyphema is similar to nontraumatic acute angle closure glaucoma with timolol, acetazolamide, pilocarpine, mannitol etc. While most patients settle with medical management, ophthalmologic consultation for surgical evacuation of the clot should be considered in patients with elevated IOP despite maximal medical therapy, sickle cell disease and the classic “eight-ball” grade 4 hyphema where the entire anterior chamber is filled with blood. Note that acetazolamide is contraindicated in patients with sickle cell disease as it increases the sickling of red cells. Sickle cell patients have a high risk of rebleeding  and often require surgical intervention. A careful assessment of globe symmetry from the head of the bed may reveal a subtle enophthalmos. Any irregularly shaped pupil (not only the classic ‘tear-drop’ shaped pupil) should raise your suspicion for a globe rupture. A large circumferential edematous traumatic subconjunctival hemorrhage as well as a uveal prolapse are concerning for a globe rupture. Remember that assessment of IOP is contraindicated in patients with suspected globe rupture. Globe rupture is a clinical diagnosis, not a radiologic one. The sensitivity of CT in a recent study out of Academic Emergency Medicine was poor only 51%–77% (depending on the radiologist) while the specificity was >97% . Other studies have shown similarly poor sensitivities [20,21]. ED treatment for globe rupture starts with an eye shield. If you can not find an eyeshield in your ED consider using the bottom portion of a styrofoam cup. Analgesics, tetanus and antibiotic prophylaxis should be considered, and immediate ophthalmologic consultatiation is prudent. Consider orbital compartment syndrome, hyphema, retinal detachment and globe rupture in all blunt ocular trauma patients. Physical exam is queen. All of the vision threatening emergencies in the setting of blunt ocular trauma are made on the physical exam. Don’t forget to check for RAPD, visual fields and IOP (unless you suspect globe rupture). Consider POCUS in patients whose eye is swollen shut and you are unable to gently pry the eyelids open. 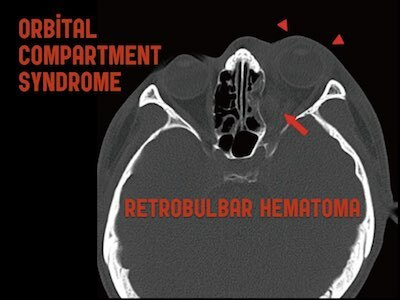 As soon as orbital compartment syndrome has been diagnosed clinically based on mechanical and ischemic features, do not wait for CT – be a “Nike ninja” and just do the lateral canthotomy. Just because you don’t see a meniscus, doesn’t mean a hyphema is not present. Many subtle hyphemas can only be diagnosed on a careful slit lamp exam. Consider TXA in patients with retrobulbar hematoma and hyphema. Beware of the sickle cell patient with hyphema. Do not rely on CT to rule out globe rupture. Globe rupture is a clinical diagnosis and can be subtle. Look for subtle enophthalmos, any irregularity in the pupil, large subconjunctival hemorrhage and uveal prolapse. Drs. Helman and MacDonald have no conflicts of interest to declare.